Growing up on the backs of Thoroughbreds, I wasn’t too interested in the paint pony that showed up at my barn in early May. My sister, however, fell in love and swore she wanted nothing more in life than to own her. She came to us green broke with one lead, biting problems and absolutely no ground manners. She reared under saddle and my barn quickly figured out she wasn’t going to fit into their lesson program. When it came time for her to return to the middle man that brought her, my sister broke down and pleaded to my parents. Never owning a horse before, my mom fell for the pony solely because of her looks and finally agreed to purchase her. Her name was Snickers, (renamed Cali). She looked like she came from the plains of some Midwestern state, had a wild zebra-patterned mane that stood up, a thick forelock, athletic build and a gorgeous overo patterned coat. She was also very animated when ridden, picking her legs up past her stomach as she cleared any fence. Who wouldn’t fall in love? 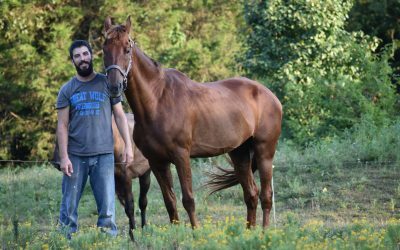 I was a bit peeved at first, knowing that buying a horse would put a halt on the lease I currently had running with a gray thoroughbred. A week after buying the pony, we realized we had been lied to when told she was an former show horse whose owner had grown too big for her. 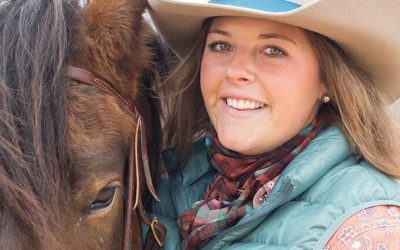 She became unruly, and dangerous for people who had never owned a horse before. She would pin people in her stall, kicking and biting them. She trampled us as we led her from her stall. She bucked us off in the arena, jumped the arena fence and galloped like a mad woman to her stall. We soon realized the pony was probably drugged for trial, or this new place was now boring “old hat” to her. We put her in boot camp with our trainer, took lessons on her, and, despite many falls and broke fingers, stuck with her. A couple of years later she was a different pony. We went from being excused in our flat classes for rearing to winning day-end champion. Not to long after this point my sister outgrew Cali, losing interest in horses all together. Despite Cali’s retraining, she still threw my mom off often enough that anybody else would have sent her away. So it was down to just me and Cali. Somewhere in this mess, a friend of ours found Cali’s old advertisement on a website belonging to a barn just half-hour away. We got in touch with the woman advertising her. After exchanging words, it was clear middleman had lied to us. Not only had the pony never shown, she was well on her way out of the country. The woman later sent me an email saying she rescued Cali from a meat auction in Indiana. The seller expressed that she was very upset Cali had been rescued saying she was “bad” and “should have been walked straight through to a meat buyer.” My heart sank hearing the hell this poor pony had gone through. I hadn’t been fair to her; it wasn’t her fault she was an unruly beast. She had a terrible past I would never wish on any horse. The years went by and it was just Cali and me. I never grew much taller, and still fit her like a dream. I often wondered what would happen to Cali when it came time for me to advance. She proved me wrong, however, doing everything a bigger horse could do and more. She never refused, never backed down and we quickly found our place in the jumper ring, competing and winning against horses twice her size. There was nothing this pony couldn’t do. She swam, fox hunted, jumped around 3’6″ like a dream, neck reined, hunter paced, rode and jumped bridleless, and let me shoot archery from her back. We became inseparable, more tightly bonded than I thought I could ever bond with any animal. Cali did absolutely everything for me and never gave anything less than 100 percent. A couple years back, we were giving an open house demo at my stable, cruising over 3′ like we always had. Cali landed a wide set fence wrong, and instantly I knew she had hurt herself. The vet came out the following day when her swelling did not subside. He had confirmed she had bowed her tendon, but had hopes for a full recovery. I wrapped that pony religiously and poulticed her. We had insured her, so shockwave therapy was available to us and improved her down time. Just as she was ready to go back into work, I was bucked off a thoroughbred I had been working with, breaking my humerus. Despite my pony being out of work for over half a year, I felt confident enough to ride her with a sling and one hand. We recovered together and she jumped again. Exactly 364 days later she bowed her tendon a second time. You can imagine my heartbreak and frustration, knowing we would never be able to compete or jump again. Cali loved jumping, too. I had two choices, I could sell her in exchange for a horse that could jump and show or I could forfeit showing all together. I sold my show clothes, not being able to afford another horse or lease. I decided Cali was more important than a horse who could jump. Over the years, she exceeded all of my expectations and gave her all. It was time I did the same for her. Cali is now semi retired at my house with two other horses and a large field. I see her every day and we trail ride everywhere. Reflecting on my own story, I now see how many obstacles we have overcome, and how easy it would have been to give up. When I didn’t have the compassion for this horse my mother did, and in having it she probably saved this animal in the long run. Its hard to say if she would have come across a home that would understand her, or if they would have sent her on her way like so many other people did. She doesn’t have a voice, and the horrific things done to her in the past were only expressed as anger and resistance. She had scars, her hips were uneven from rearing up and falling backwards, she lost her mind around men in particular or if you stomped your foot. This bad behavior is too easily overlooked and dismissed as just that, and so many wonderful horses are passed up because they show their mental scars aggressively or fearfully. If Cali has taught me anything it is that the horse world can be a deceitful place where people have disposable mindsets about a living breathing creature. The #righthorse means that we must be honest when it comes to our equine matches. We are doing a disservice to both human and horse when lying to sell a horse or lying to obtain one. There are people who will take problem horses, but denying their problems is dangerous and creates a vicious cycle where the horse is bounced around its whole life. And finally, the disposable mindset is ever prominent in the world where everyone wants the young, able-bodied horse. 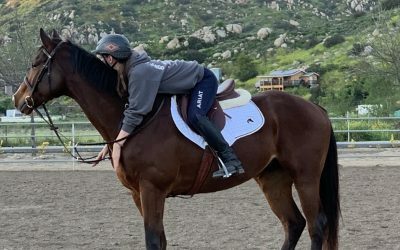 People overlook the joys of earning older horses, forgetting they have just as much to offer, including those that may be physically limited. A friend of mine purchased a 17 year old ottb who’s jumping is hindered by conformation. They trail ride and flat in the ring and could not be happier. Another friend just celebrate her horses birthday by winning the 3’9″ local jumper derby. Her horse just turned 20. It is up to us to educate the equine community, to bring back true horsemanship and develop bonds that see through injury and age. It is time we took responsibility for what we purchase, and return to the horse what they gave to us in partnership. Along with a few of my favorite photos of Cali is the email I received from the woman who pulled her from an auction. I hope her story inspires others to give horses like Cali a chance. They can do some amazing things. What a beautiful horse and a beautiful story! I agree we need to treat our equine partners with respect and give them a home even when they can no longer show. They give us their all and we should give ours to them!!!!!! You are an awesome person to stand by your horse. Your acre a true horsewoman, not merely a rider!!!! Kudos to you!!! !